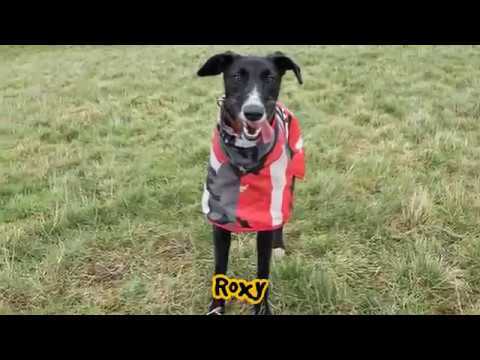 Roxy is a playful, lively lurchery lass who is always on the go and full of beans! She will certainly keep new owners on their toes and will suit a home with people used to the breed. She finds herself in rescue, when her owner could no longer look after her, and is now looking for a new start in life. Roxy's carers say that she is such an affectionate girl and gives the best hugs, she is playful, and though she can be very giddy and vocal whilst on a walk, she is doing well with her training and should keep this up in her new home. Roxy can live with older teens (over 14 years) but may need to be the only dog in her new home. If you are interested in this beautiful girl then please ask to spend some time with Roxy. Thank you for your interest in Roxy, who is based at Darlington. Please note this is not a reservation on this dog. To start the rehoming process you will need to go to a rehoming centre for a quick chat. Please find information below about what to expect during the rehoming process. We hope to see you soon.